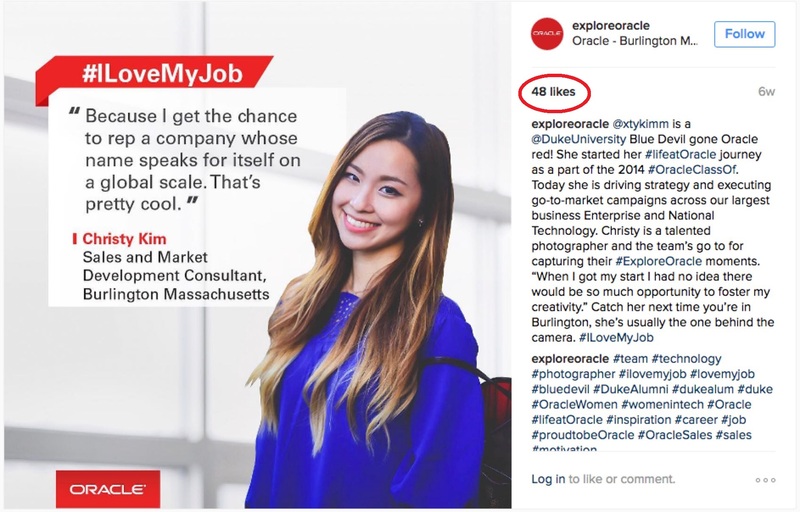 The recent interview with Oracle Global Recruitment Marketing Head Celinda Appleby had a great little factoid you should care about if you’re interested in getting an increase in employer branding and followers through social recruiting. 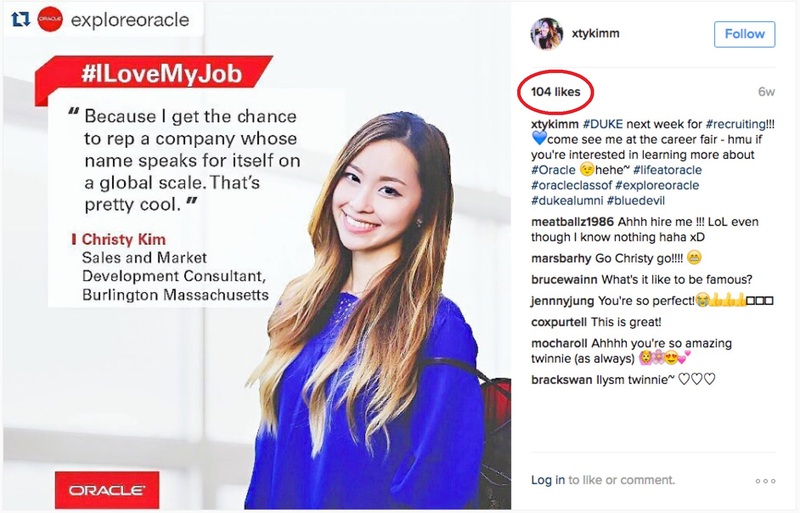 Basically, Oracle found that getting one of their employees to post an “I Love My Job” campaign on Instagram (the first image below) outperformed Oracle’s own posting of the same exact ad on their corporate Instagram account (the second image below). Some of your employees may turn out to have huge followings on social media which can get your company as well as their testimonial in front of a lot more eyes. Morale of this story — it’s always better to get an employee to talk about your brand versus corporate. About the Author — Rob is the Co-founder & CEO of Ongig which is on a mission to help you hire the best talent faster through the world’s best job descriptions. Ongig’s cloud-based solution includes leveraging social media recruiting. Yelp, Autodesk, Verizon Digital, GoDaddy, Ten-X and BMC Software are among the early customers of the Ongig SaaS.